It’s that time of year again. Time to make one giant organizing push before the holidays begin. We call it Organized October—it’s a month dedicated to organization of all types. Schedule a time in your planner each day to spend organizing or re-organizing different aspects of your life—whether that’s your closet, a desk drawer, or your morning routine. Our Organized October Calendar offers daily tips to help, or you can come up with your own ideas. For a great way to keep track of your month-long organizing blitz, download our new Autumn To-Do and Check Lists. They will help you keep track of your weekly errands, and remind you to participate in some great fall activities. 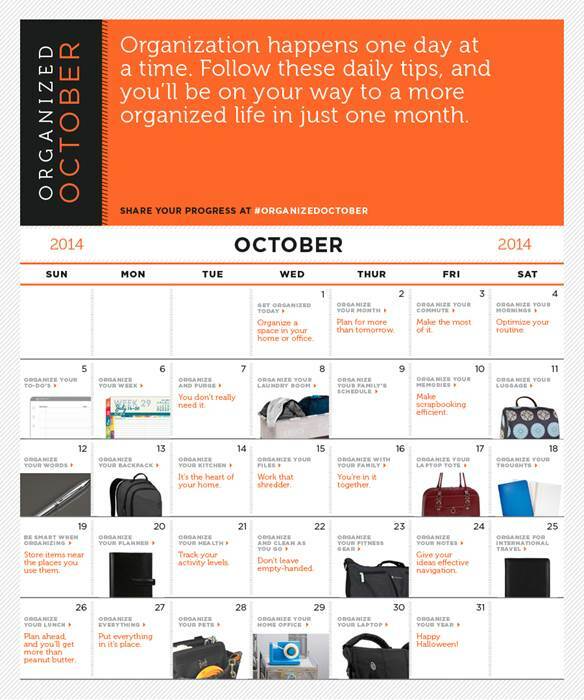 For each day of October we have an organization tip on our Organized October Calendar. 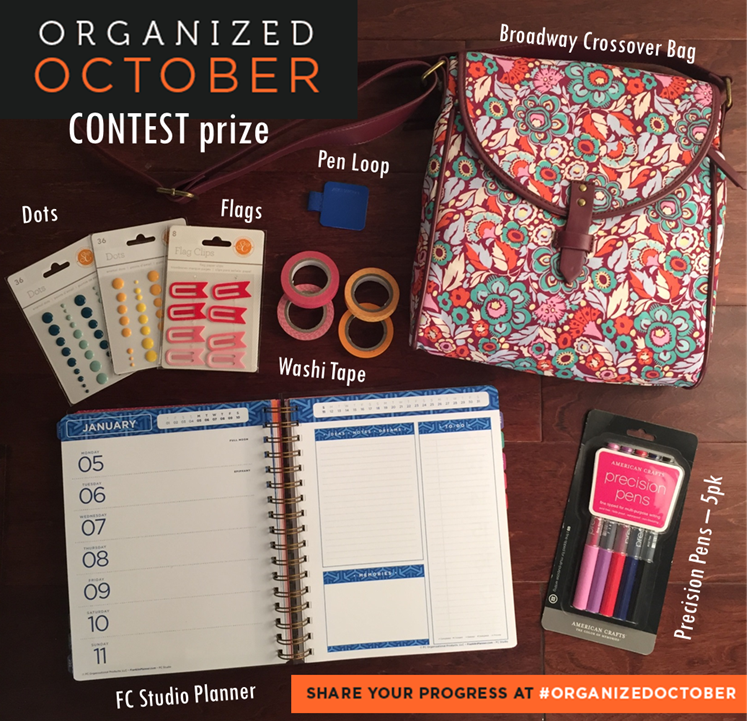 Organize whatever the day’s tip tells you to do, post a picture of what you have organized and use the hashtag: #organizedoctober in your post. Post your pictures on either Instagram and/or Facebook. Each post is one entry. The more you post, the more entries you will have entered into the contest. Like us on Facebook and follow us on Instagram (@franklin.planner). We will be looking for your results all month long! Good Luck, and Happy October Organizing!